This summer I am totally chuffed to be back at the Leigh Folk Festival again. I will be performing on the Squeezebox Folk Stage at The Scout Hut on Sunday 29th June somewhere around the midday mark – please check the program to confirm this. It is the biggest and IMHO best free folk festival in the country – I have seen so many brilliant performances there over the last few years – you can get there from London Fenchurch Street station in under and hour… and there is a BEACH. A real beach which you can sit on and eat ice cream. 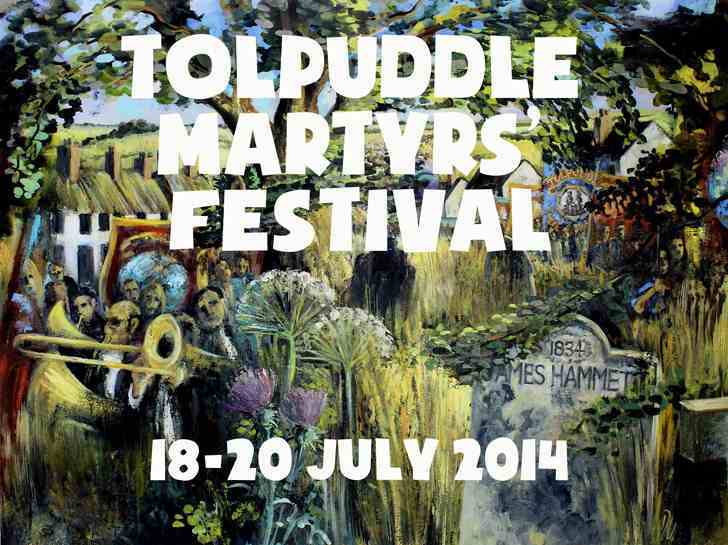 Really happy to announce that I am performing ‘Three Acres And A Cow – A History Of Land Rights And Protest In Folk Song And Story’ with Rachel Rose Reid at the Tolpuddle Martyrs’ Festival this year. I think we are on Sunday afternoon in the Martyrs’ Marquee but this may change so do check the schedule if you are planning on heading down. This festival is a must for any one interested in music and politics. The Tolpuddle Martyrs’ were given hugely cruel sentences in the 1830’s for setting up an early union to campaign for agricultural labourers’ wages – their sentences were eventually overturned after massive nationwide outrage, laying foundations for all people campaigning for a fairer and more equal society ever since. 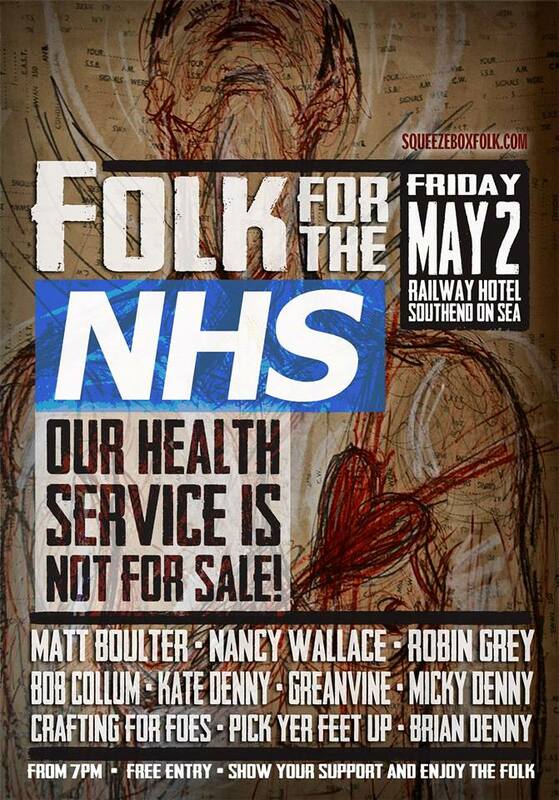 Check out this lovely show next month – some brilliant other acts and I am looking forward to giving my new tune about the NHS an airing.